I like to study blogging income reports to see how I can improve my own site. I’ve been making between $1,500 to $2,500 for a few months now and want to get to the next level. Below are 35 recent blogging income reports and a brief description of how each site makes money. 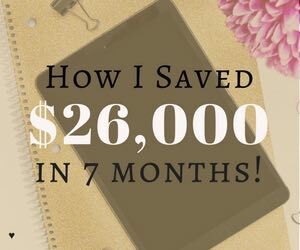 The bloggers on this list make an average of $35,724 per month. Although, the median blogging income is $8,095. 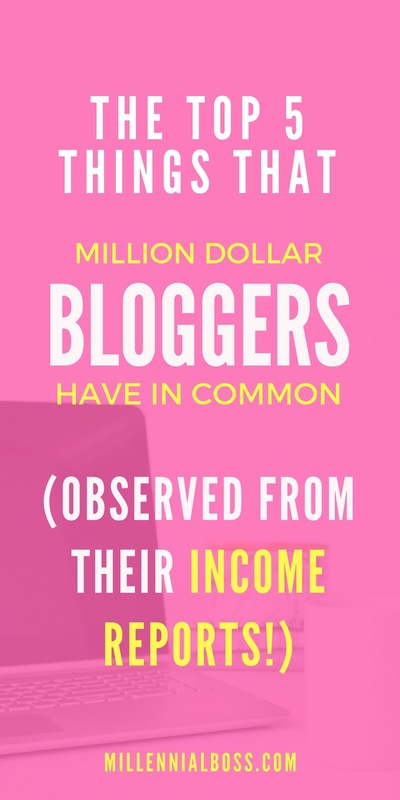 I was surprised to find diversity in blogging income streams in this list. Bloggers get a lot of crap for taking part in “pyramid schemes” where they make money by convincing other bloggers to blog but in reality, bloggers are making money from a myriad of sources. 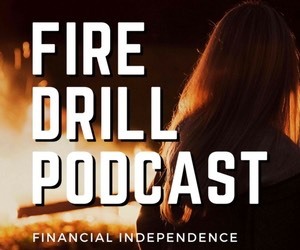 You’ll see below that bloggers are profiting from niches including golf practice, gaming, health and fitness, and even job finding services for felons. 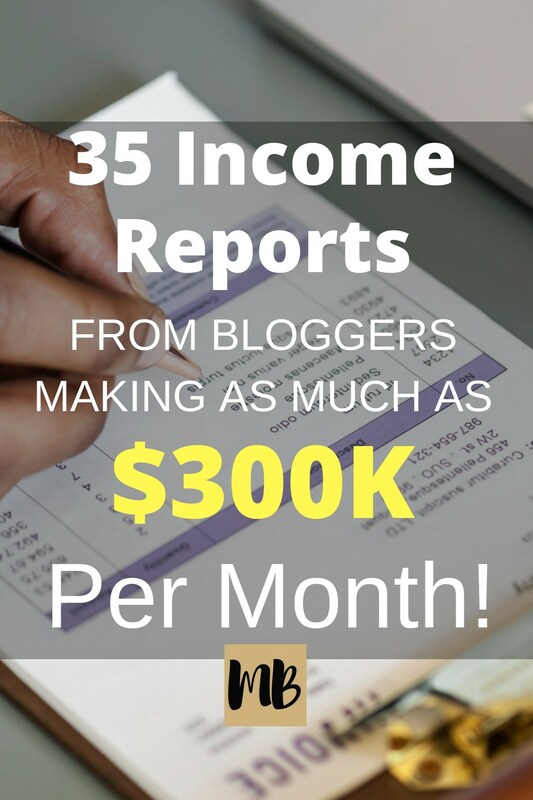 Here are the recent blogging income reports from 35 bloggers, organized by income. Affiliate income and advertising are dominant at the $1,000+ level. Adsense, Mediavine, and AdThrive seem to be the popular advertising networks. Mediavine and AdThrive have steep minimum page views (I believe 25k and 100k per month respectively), so most of the bloggers below meet that bar. Sponsored content is also a common theme in this group and the sources of that content vary. Majority from sponsored work through Social Fabric and Clever Girls networks. Income split between Google Adsense advertising and sponsored posts. Most of this income came from advertising through Mediavine. Mostly from sales of niche ebooks and practice plans for golfers. Sponsored content drives the income on this food blog. Income made up of Amazon affiliate commission and AdThrive advertising. Majority came from advertising through AdThrive. Split between sponsored posts and advertising through AdThrive. Majority came from advertising through Mediavine. Mostly from monthly client work including SEO, social media management, and website development. High traffic and niche sites seem to be big themes in this group of blogging income reports. The increased traffic drives a much higher return on advertising than the $1,000+ group. I’ve been reading the Pinteresting Strategies ebook to increase my traffic. It’s written by a blogger who gets over 400,000 page views per month from Pinterest. I highly recommend it. The ebook is over 90 pages of meat (and at $32 it’s not too expensive either). Affiliate marketing drives revenue on this site. A good chunk comes from Amazon Associates. Income split between advertising, survey company signups, and sponsored work. Earns majority of income from a Uber driver referral code site that gives new drivers a signup bonus. Split between freelance writing and affiliate income. Relatively even split between affiliate income, sponsored posts, ad income, and self-launched course. This game developer made $6,000 from HTML5 games in Feb and March. Makes money off of advertising on various domains including a job finding site for felons. Makes money off of advertising from Pinterest traffic. Now we’re getting into the big leagues. 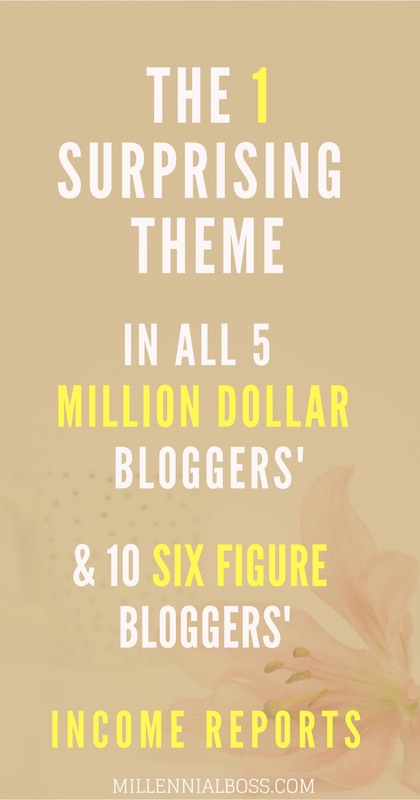 These are the bloggers making six figures on their blogs per year and more. You’ll start to see more bloggers offering their own consulting services at the $25,000+ per month level. Income sources are still very diverse at this level. All of these bloggers have growing email lists. Many are using ConvertKit which I also use for my mailing list and highly recommend. The ROI on sending email is crazy high. ConvertKit makes it super easy to design forms, collect subscribers, and tag subscribers by interest. If you want my off-the-blog blogging tips (where I share all the good stuff) then join my email list. 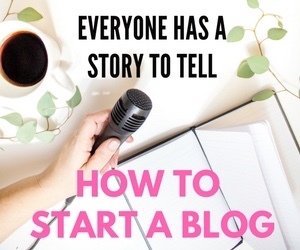 I share strategies that are working for me and that I’ve learned from the best (and most profitable) bloggers out there. Made over $10,000 offering digital marketing services such as Facebook ad management. Makes money from membership dues to an online membership program for entrepreneurs. 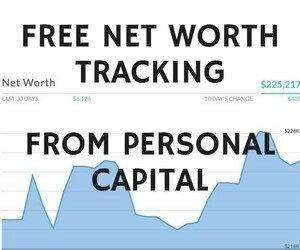 Income sources include affiliate marketing, SEO consulting, and 1×1 coaching. Makes majority of money selling physical products on Amazon. Mostly from affiliate marketing. Great organic search traffic. Super diverse income streams. Buys websites, sells on Amazon, started various online businesses, etc. Makes over $10k in affiliate income. Brought in $19k with a private project that was not disclosed. Launched their own course based on their successful health website and youtube channel. Also sell supplements. Makes money through advertising, sponsored work, and own course. Most of the income comes from launch of her own courses as well as affiliate marketing. These are the bloggers making six figures per month, which means they’re pulling in millions per year! It seems like courses, information products, and outsourcing are necessary to really scale and get to the $100,000+ per month level. That makes sense given that a person only has so much time in the day to pump out content. Most of these sites also have custom web development. I’ve been really happy with my Studiopress theme but maybe it’s something to look into down the road. Buys websites and makes money through advertising sales. Majority of the income from affiliate marketing. Made over $50,000 selling her online course (which I’ve personally taken and highly recommend). Check out the course here, Making Sense of Affiliate Marketing Course. Sell information products, physical products (journals), as well as do affiliate marketing. Mostly from online course sales but also from affiliate marketing. Blogging income potential seems unlimited when you can scale like many of the bloggers on this list. After reading these 35 income reports, I definitely have renewed motivation and inspiration to blog. If you’re not making any money on your blog right now, don’t be discouraged. 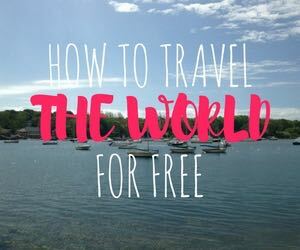 Check out my post to learn some hard truths about your blog and why it’s not making any money. You’ll be on this list in no time. Are you familiar with these bloggers? Who writes your favorite income reports? Amazing how much some bloggers can make! They’re not really bloggers I guess. Many offer online services as well. I’ve been following Michelle from Making Sense of Cents for a while and its amazing to see how her business has grown over the years. I’m always amazed. It’s true that there are diverse ways of making money online but I’m not sure if I would define bloggers that offer services as not bloggers. It’s a gray area though. This is a great list. Thanks for the inclusion! Michelle Schroeder-Gardner recently posted…I’m a Female Breadwinner! I Earn Much More Than My Husband – So What? You’re welcome! The inclusion is much deserved. See you in the next edition? Thanks so much for including us! LOVE this round up of amazing people! I am really impressed with your work of collating a list of top earning blogs. i knew few of them but your list is really inspiring. Wow! I love your post! I’ve read a number of blogger round-up posts and yours is definitely one of my favourites. Very nicely done! Super inspired. It’s incredible how much bloggers can earn. I am happy if I can earn $5000 per month from my blog. I love blogging about nutrition and if I can make a full time living from it, would be amazing. Still not starting monetizing it, building up the content, laying out the foundations. Over $100k per month and I can’t even imagine getting there. Great list of bloggers! I’m familiar with a few of them so it’s great to know how they’re making their money! This is soo encouraging! My mind can’t even picture earning $20,000 and above via blogging. I know it’s doable though. If they can do it, so can we. Very inspiring list! 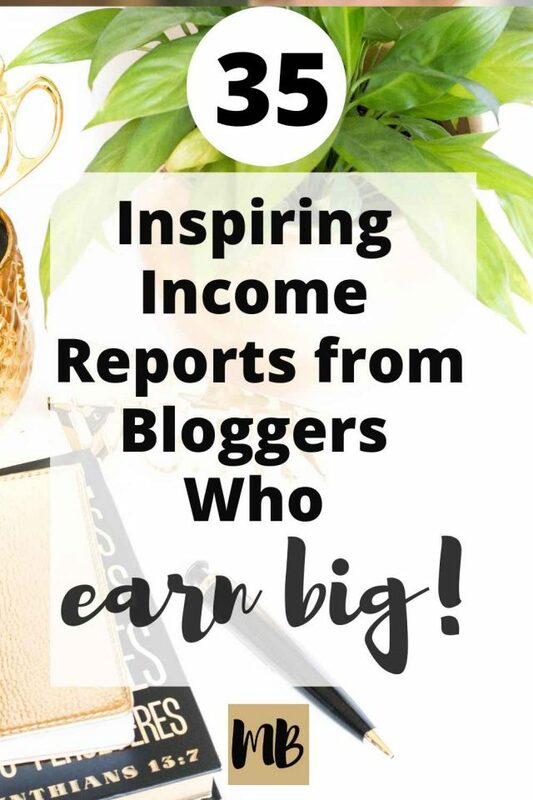 Love seeing other bloggers income reports because it just proves what can be done with some effort and a bit of savvy!